I use my Bem when I am cleaning house because I can just pick up the little box and move it from room to room, but I can't wait for this summer when I can use it at the beach! No more leaving my car doors open at the beach I can park on or carrying a radio when I have to walk. This little box is a game changer for me! The Bem Wireless Mobile Speaker lets you hear what you want, when you want, and where you want, without limits. 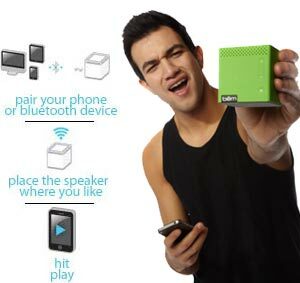 Put it anywhere and pair and play in moments, with a compact speaker in one of six cool or cute colors. 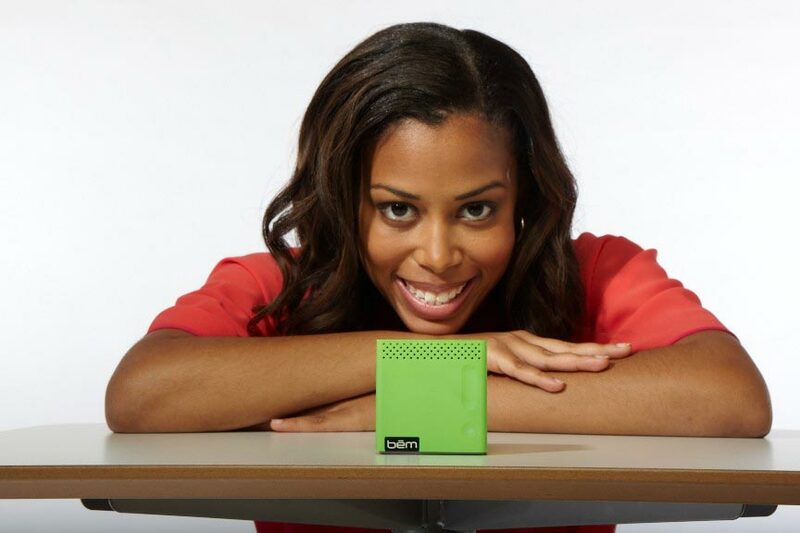 In fact, it measures barely 2.5" cubed--that's slightly smaller than a tennis ball, so when you bring it to the court, it's less intrusive than your water bottle. Sound good? Why yes, actually, it sounds great. Rich, precision-tuned wireless audio via Bluetooth, with control from your smartphone, iPod, tablet, or other portable device. Simple, intuitive design from Bem Wireless let you be more free. Live your life with fewer limits, like experiencing music when, where and why you choose it. 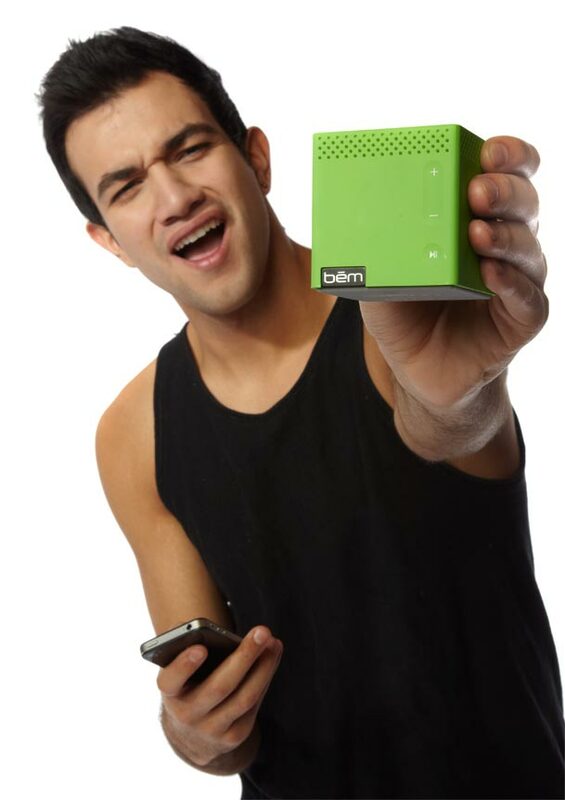 If you're tired of wires--let Bem ditch your docks. Bem Wireless is easy to use, easy to charge, Bem Wireless means tireless--and seamless--personal soundtracks. The Bem Mobile Speaker is ready for anything. From a picnic in the park or hang out in your hotel, there's no wires to fight or hassle with. As a bonus, it helps you tidy up your everyday living space, too. With Bluetooth products by Bem, it's easy to untangle and enjoy all things your mobile lifestyle includes, such as email, texting, checking Facebook, pinning projects and more, without ever missing a beat. 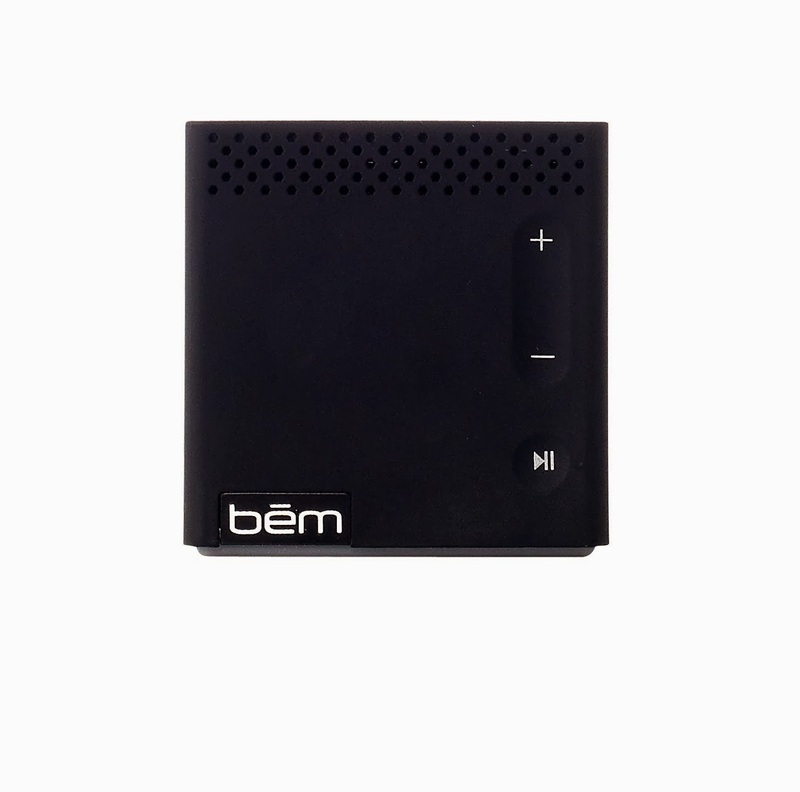 Bem gives you the power to control your music from your iPhone, iPad or other Bluetooth-enabled device. Plus, you can take a call or conference, then get right back to your tracks. There's also an Aux-in for more connection options. 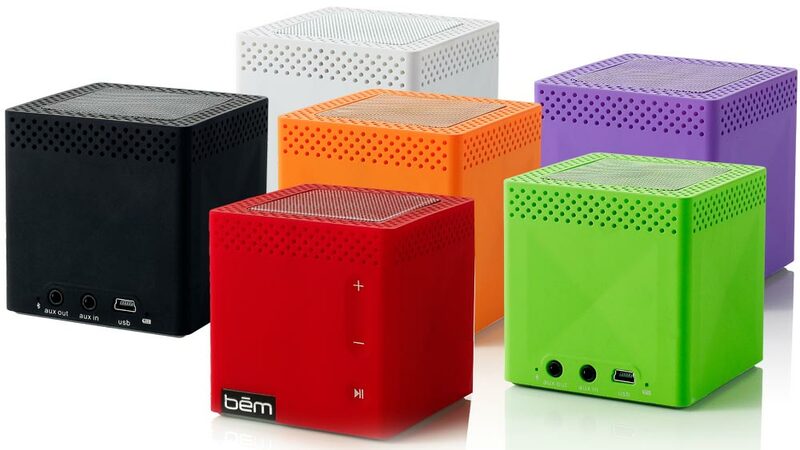 Bem Wireless Mobile Speaker, Mini-USB cable, 3.5mm cable, USB AC adapter, user guide. Bem wireless is an innovator in consumer electronics, providing wireless solutions for everyone. By identifying user's experiences, Bem makes it easy for its innovations to be integrated into everyday life. Formed in 2012, Bem brings together entrepreneurial spirit and know-how plus the track record for successful engineering execution. Beginning with the audio line, including mobile speakers and wireless home systems, and quickly moving on to the development of video and a host of other lifestyle-enhancing products, Bem is tireless about keeping wireless portable, affordable and accessible. It's cool to have speakers that you can easily mix and match. The look that you want in your living area is easy to get with those, if you like bright speakers more than than monochrome ones. it's good that they can be controlled from such a wide range of devices as well. They look pretty and handy for sure but how's the battery life? How long does it take to charge them? Thank you for your sharing. It's cool to have speakers that you can easily mix and match. That's great information for me. keep your sharing more.